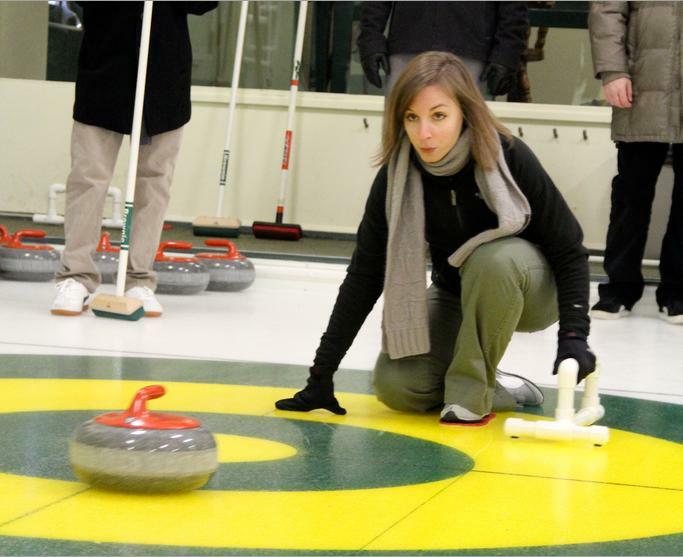 Me concentrating on my curling skills. It was a lot of fun. Even though I was wearing tights AND socks, the bottoms of my feet still got really cold. Just something to remember for next time – wear even MORE socks – or wear boots. Check out all the pictures on Flickr. 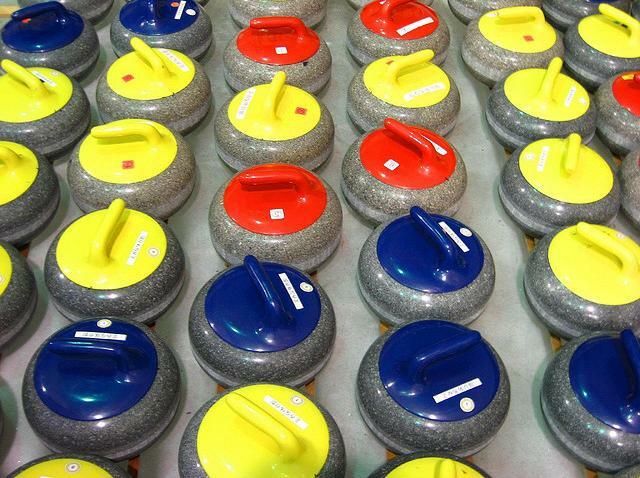 My department at work is going curling on Friday. CURLING. Like in the Olympics. For whatever reason, I’m pretty excited. I’m never gone curling before, but I love the table-sized version that is shuffle board. We’ll see how different it really is on Friday.